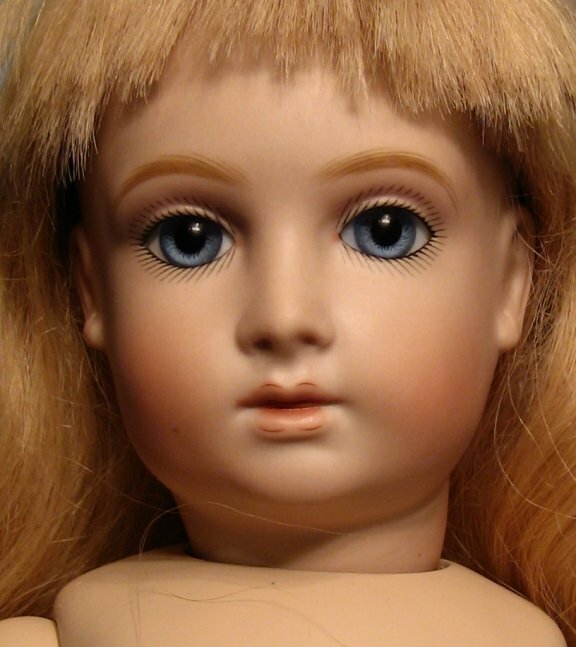 Pressing F5 on your computer will ensure that you have the most up-to-date version of my website. 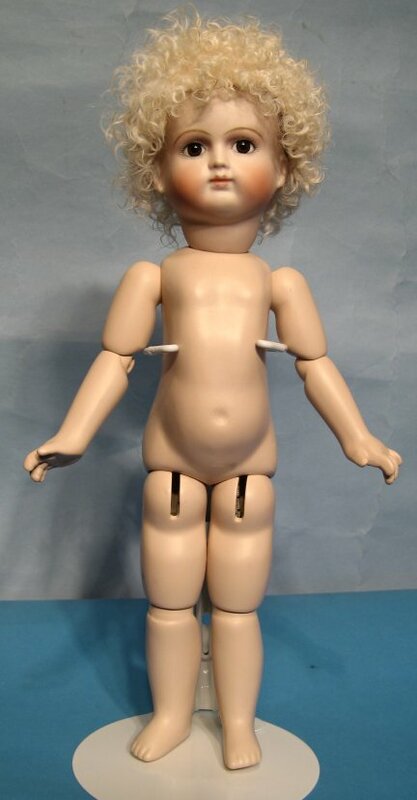 17" Jumeau Triste. 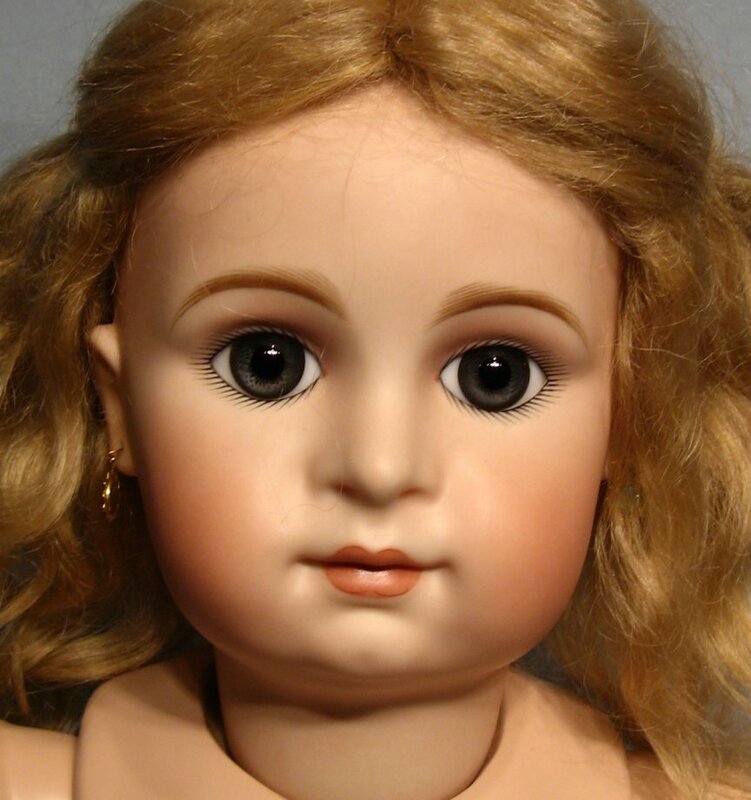 Here is a wonderful doll that could be your Mary Frances doll. 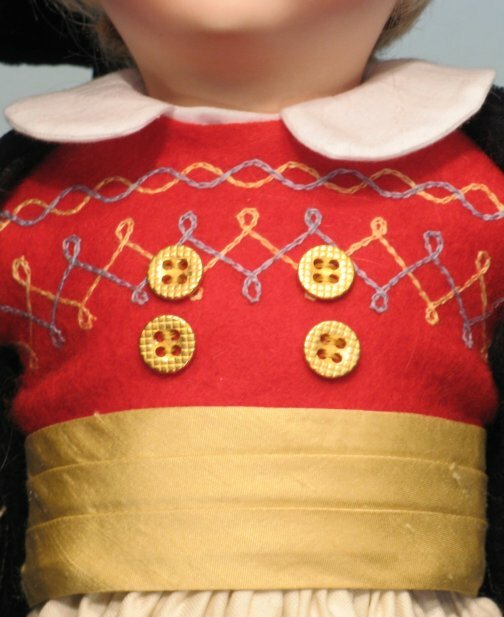 She uses the FB14 body from Seeley that is such a perfect fit for the Mary Frances wardrobe (click on this link "Mary Frances Wardrobe" to see more about the Mary Frances wardrobe project). 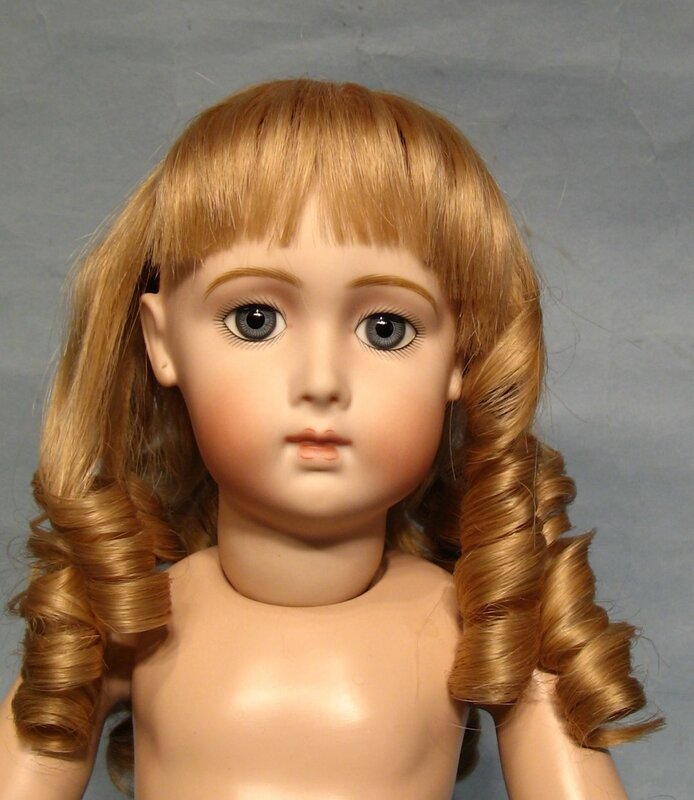 The doll shown is a Jumeau Triste with gray-blue glass paperweight eyes and a blonde human hair wig. 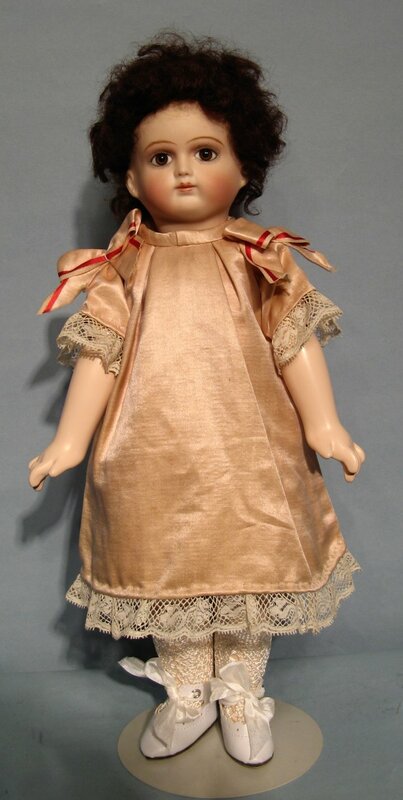 14" Schmitt---Shown above is a reproduction of an antique Schmitt doll. 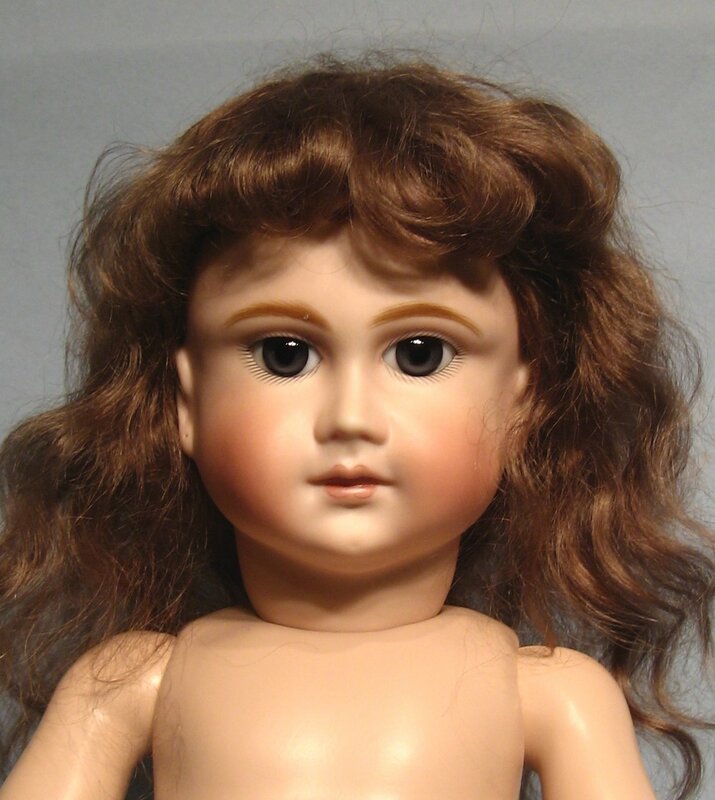 Although the name sounds like a German dollmaker, Schmitt was a manufacturer of dolls in France. 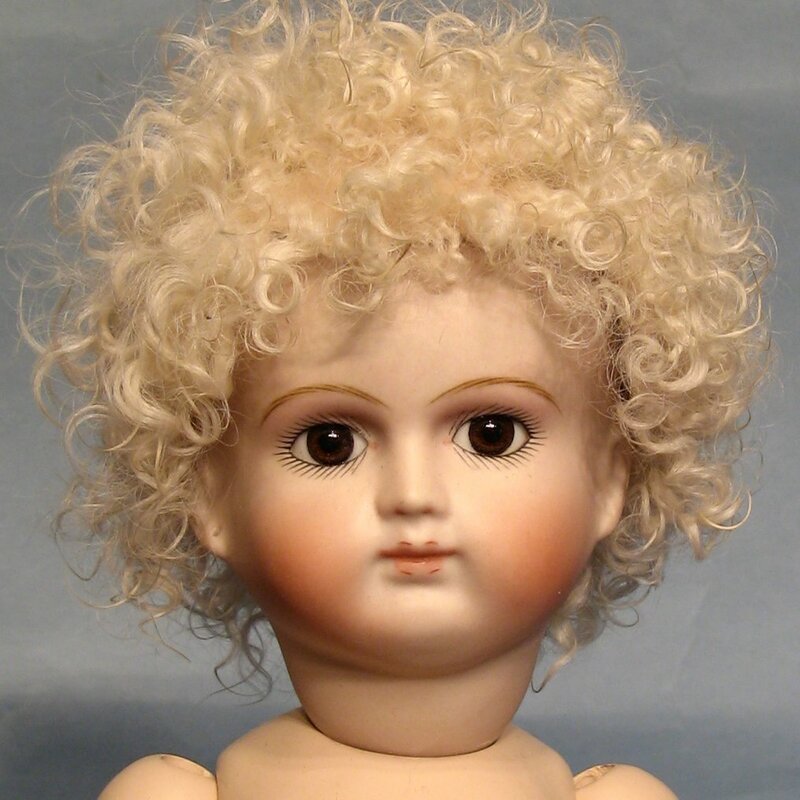 This lovely reproduction has dark brown paperweight eyes and a pale blonde skin wig. 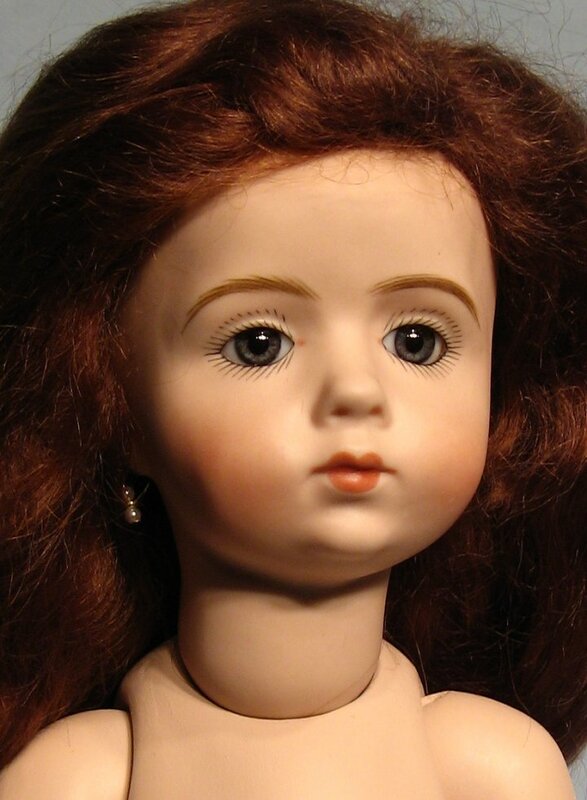 She has eyeshadow over the eyes as the antique doll would have had. 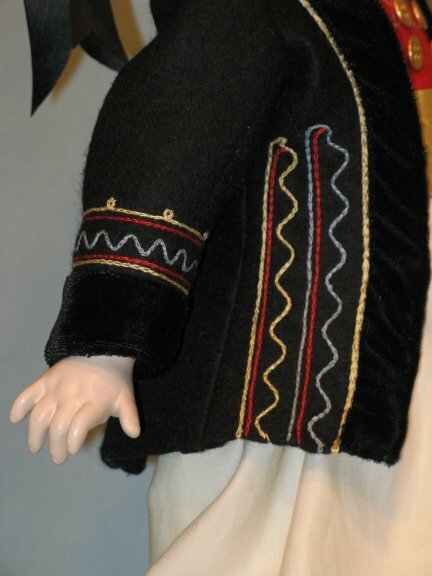 PATTERN: Ethnic Folklore Brittany Costume for 16" Doll --Seeley's FB14 body--This pattern is for a boy's French folklore costumer from the Brittany region. It was specifically drafted to fit a Seeley's FB14 body. 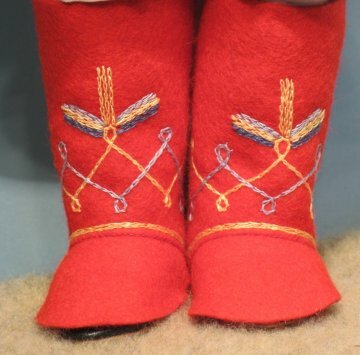 The pattern includes blouse, pants, vest, cummerbund, jacket, gaiters and hat. 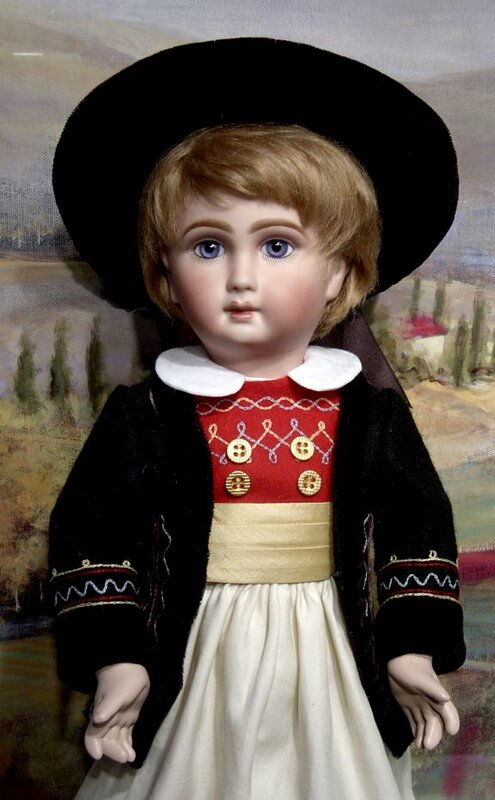 14" Schmitt---Shown above is a reproduction of an antique Schmitt doll. 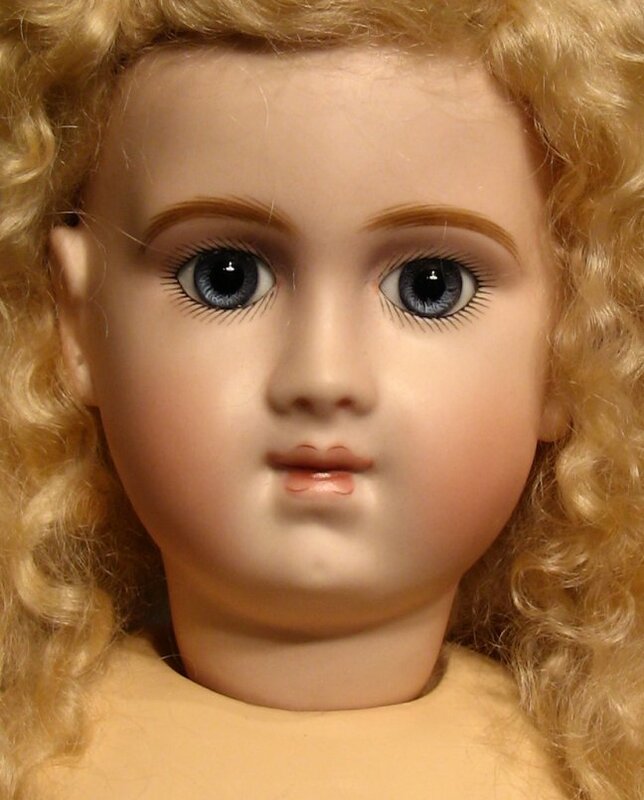 Although the name sounds like a German dollmaker, Schmitt was a manufacturer of dolls in France. 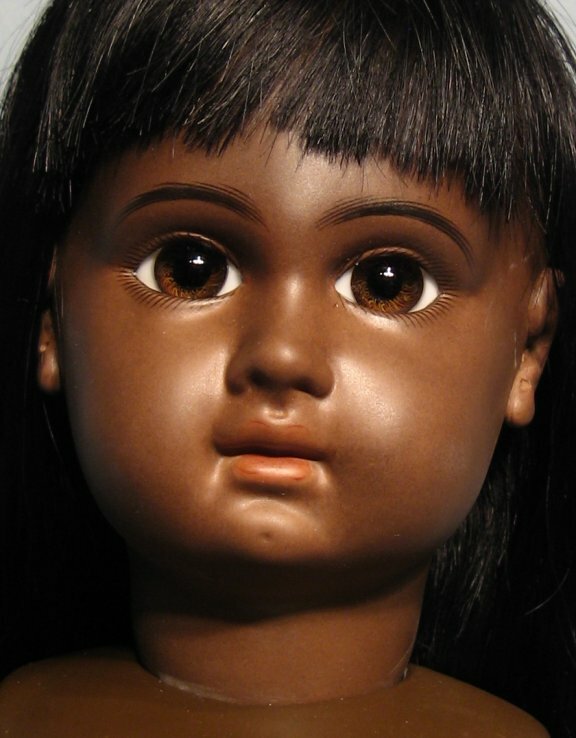 This lovely reproduction has brown Hand Glass paperweight eyes and a dark brown mohair wig. 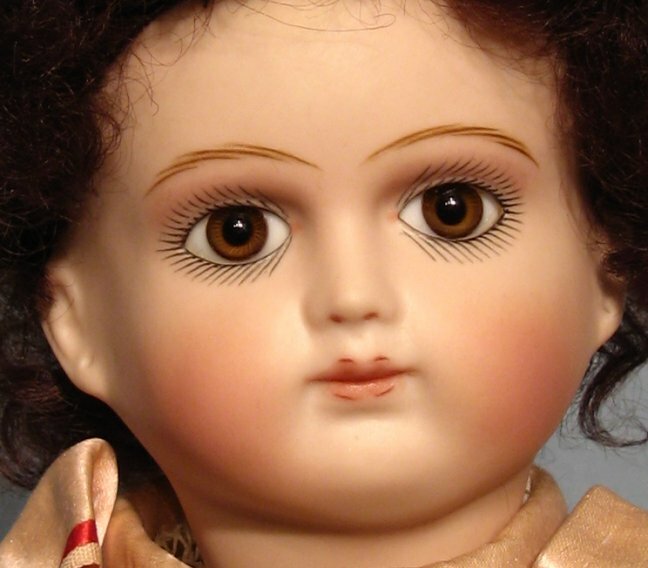 Her painting is quite pretty, with dark eyelashes and a pinkish eyeshadow over the eyes as the antique doll would have had.